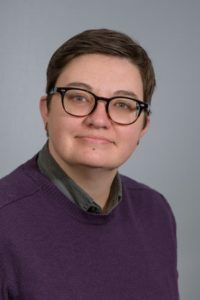 Erin Flynn, Assistant Professor of Child and Family Studies, has been awarded a fully paid scholarship to attend OpenCon 2016 by the Portland State University Library and Office of Research and Strategic Partnerships. OpenCon 2016 is a conference “platform for the next generation to learn about Open Access, Open Education, and Open Data, develop critical skills, and catalyze action toward a more open system for sharing the world’s information—from scholarly and scientific research, to educational materials, to digital research data.” Erin’s interest in open access relates directly to her research on child-led storytelling. Flynn’s engagement with open access will enable her research and children’s voices to reach the public, further empowering children’s voices in storytelling. The scholarship will make room for her research to have even broader impact in the community at large. Remote attendance to OpenCon 2016 is free of cost and encouraged, especially for those who cannot attend in person. Attendees will participate in three days of keynotes, panels, and workshops, featuring Jimmy Wales, co-founder of Wikipedia, and Amy Rosenbaum, Director of Legislative Affairs to the President of the United States. Erin has agreed to report back to Portland State regarding her experience at OpenCon. Look for a news item to be published in Winter for her report!